KarenSands.com is a hub for the many different paths we take in life, guiding you to answer the question What’s next? for you and to achieve greatness personally and professionally, at every age and every stage of your life. As a Professional Futurist, Strategist, ICF-Master Certified Coach & Mentor, CCE-Board Certified Coach, Transformational Certified Gerontologist, Educator, Author, and Speaker, I provide information, resources, expert guidance, education, and coaching to women and men looking to transform their lives in ways that transform the world. The website has my name on it, but ultimately, it’s about you. “I just know I want something new, better, different.” Stick around and explore my blog and other writings, or find out about transformational events coming up this year. “More meaning, significance, and impact in every aspect of my life.” Check out Coaching For The Future for hands-on personalized guidance to achieve your dreams and live your greatness in everything you do—personally, professionally, as a visionary leader, as a coach, in retirement, in your business—no matter who or where you are, Coaching For The Future can guide you toward a future that matters. 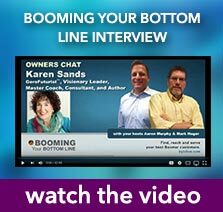 “New tools, strategies, and innovative ideas for reshaping my future and my business.” Share your gifts and bounce ideas off a group of other like-minded visionaries-in-the-making while learning tools and strategies for triple-bottom line outcomes (People, Planet & Profits) on the FREE monthly guided forum, Broad Minded Big Talk Radio. “I want to make a difference in the world and in my personal life and business in ways that are profitable and in line with my core values.” Explore the many offerings at Coaching for the Future for those who seek a life of significance as well as success. Everyone from rocket scientists to artists, entrepreneurs to executives, large corporations to small firms, retirees to stay-at-home parents can find tools, tips, strategies, and expert guidance in creating a greater tomorrow full of profit, purpose, and passion, with measurable results that matter. 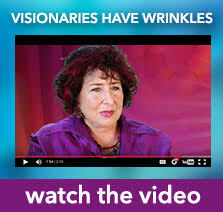 “I want to complete 80% of my life’s greatest work in the last 20+ of my life.” Then head on over to www.AgelessFutures.com, where you’ll discover a new perspective and approach to aging that will make the second half of your life more meaningful than generations before us ever dreamed possible. 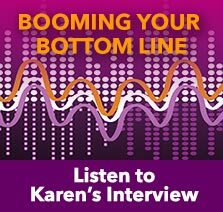 What is Karen Sands’ background and expertise? For over three decades, I have masterfully coached women and men to find greater soul satisfaction, have more impact, and enjoy more free time and increased wealth. One of 600+ ICF-Master Certified Coaches (1999), and one of a handful of CCE-Board Certified Coaches (2012) worldwide, I mentor individuals, partnerships, and teams to extraordinary results whatever the agenda. I am as comfortable leading a start-up or turn-around company as I am fostering paradigm shifts in my clients’ personal lives or businesses. My unique background as a Professional Futurist, Strategist, Boomer/Midlife Specialist qualifies me to work effectively with clients at the cutting edge who seek streamlined strategies and breakthrough results, and beyond into elderhood. You are doing pretty well in your life, but you are asking new questions, looking for deeper answers and new choices. Work with me to reach a new level of achievement, satisfaction, financial freedom . . . and positive impact. My customized and integrated approach includes expert strategies, visioning exercises, course-correction assessments and tools, and empowering approaches for all of life. 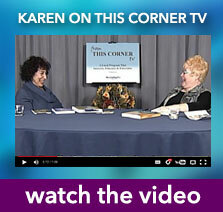 Together, we discover how you can best live so that you manifest a life that is prosperous as well as meaningful . . . and enjoy a business, career, or retirement that makes a money-making difference. Typical clients want not only success but also true fulfillment, hoping to offer enlightened leadership and performance to better their lives and the lives their family, community, and the Earth. Throughout my career—from educator to entrepreneur, executive back to entrepreneur—I mastered the tools for catalyzing colleagues and clients to increasing levels of greatness. There is no bigger joy for me than to watch a client realize higher levels of achievement and reap the rewards of a great life and livelihood. I take pride and joy in the hundreds of private clients and thousands of readers who have attained their goals, combining passion, purpose, and profit. The potential for human excellence is limitless, and most of us live only a fraction of our greatness. Here’s to unleashing yours! Click here to find out more about Karen Sands. What is an Everyday FuturistSM? An Everyday Futurist uses knowledge, knowing, and know-how to identify, track, and respond to future trends and create alternative futures with insight, innovation, and measurable results — personally, professionally, and planetarily. By learning the skills of an Everyday Futurist, you can anticipate the changes of tomorrow and prepare for them with new products, services, approaches, and life choices that make your everyday life more meaningful, successful, and satisfying — from head to soul. Using a blend of scientific and analytical tools and consciousness principles, Everyday Futurists evaluate, measure, and track trends and conditions, asking the right questions and learning how to apply the answers with wisdom, foresight, and down-to-earth strategies that transform their future and the futures of everyone they touch. 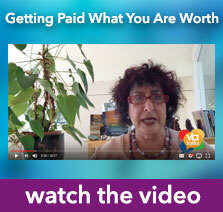 What is the difference between a psychic, an astrologer, and a professional futurist? A professional futurist is not a psychic or an astrologer. Futuring involves a set of strategic, scientific, and intuitive skills that anyone can learn to forecast the future, spotting trends and critical shifts in your own life as well as in the world. Being a futurist does not require having a gift to predict certain future events; rather, a futurist uses analytical tools and intuition to track, evaluate, and respond to change in measurable ways, creating alternative futures—so that you can use your gifts to meet change at the leading edge. You can stop reacting to what has happened and start acting on what will. You can make every day matter by applying the wisdom of tomorrow. What is a Master Certified Coach (MCC) and a Board Certified Coach (BCC)? 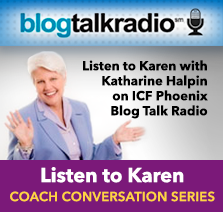 An ICF-Master Certified Coach is an expert coach who has undergone rigorous training to receive credentials from the International Coach Federation. In addition to training, an MCC has at least 35 clients and a minimum of 2,500 coaching experience hours. I met these minimums before I even started their program. I have decades of experience with hundreds of clients. The ICF standards are high—only 600+ coaches worldwide are Master Certified. A CCE-Board Certified Coach is also an expert coach who has completed exceptional training to receive credentials from the Prestigious Center for Credentialing & Education. What is Coaching For The Future? Coaching For The Future is for anyone who wishes to live their full potential to be truly great, however they define it. It is life coaching, business and executive coaching, retirement coaching, entreprenurial (and intraprenurial) coaching, and more—Coaching For The Future is holistic expert guidance for any area of your life where you want to go beyond good to great. I offer personalized strategies, tools, and futuring insights that produce measurable results for people who want to live every waking moment with purpose, passion, and profit. Do you want to put SIX SIGMA thinking into practice to live & lead beyond the bell curve? What is a risk-free way to see what Karen Sands can do for you? Through our website, you can subscribe or download a number of complimentary resources that build your skills and increase insight into how you can make a better future for yourself and the world. Broad Minded Big Talk Radio is a FREE monthly guided forum for visionaries-in-the-making who want to share creative solutions and innovative thinking for reinventing and revolutionizing their lives, their business, and their world. I share with members my time-tested strategies, tools, and resources for a rock-solid triple bottom line: People, Planet & Profits. Future Works® Gazette, a FREE monthly ezine, offers resources that both inspire and inform. Look for our special reports and ebook bonuses for website visitors. 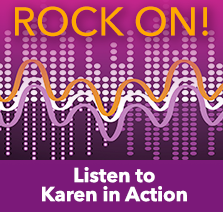 If your schedule and preferences lean toward audio, check out my FREE intro audio class: Rock on to a Greater TomorrowSM. 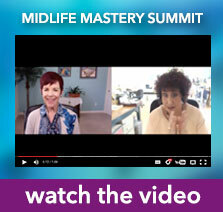 Discover the 3 big secrets to reinventing your world starting today. I continuously create more FREE materials for my loyal subscribers and network members, and I hope you will take advantage of the wisdom and techniques I have gathered over three decades of coaching, futuring, and business advising. 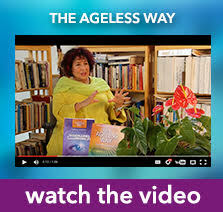 AgelessFutures.com is a website devoted to reinventing the way we look at aging and the way we age. We have more to offer, not less, as we grow into our wisdom, our experience, and our ability to focus our lives, and the world, on what really matters. 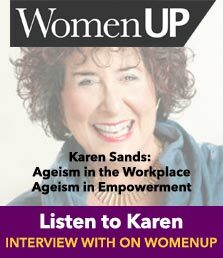 If you are ready to step out from behind the stereotypes of aging and own your power to achieve more and be more in the second half of your life, this site is for you. The future of aging is one in which we become more visible as we age, leading the world and the generations after us into a new Age of GreatnessSM. 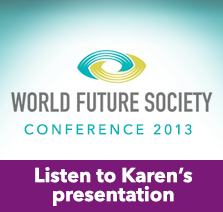 Future Works®Gazette is the voice of Karen Sands about creating our greater tomorrows. It features articles written about a variety of topics, centered on the principles of reinvention in times of transition and as well as in times of abundance, crystallized since the early 1970s by coaching clients and organizations to positive futures. Your FREE subscription joins you to a growing network of visionaries as committed and talented as you, who are seeking greater and more meaningful venues of influence and self-expression as we move toward healing ourselves, our community, and our planet. In this COMPLIMENTARY monthly, I share the simple, practical, and proven tactics for living and leading with greatness that have helped my clients boost profits and increase personal power and well-being . . . and create a greater future. 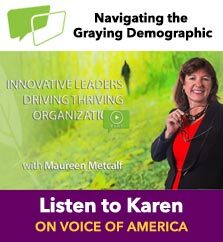 Karen’s blog is a place to dialogue with me and to learn what I’m about and how I can serve you best to unleash your greatness and reshape the future. That little voice inside telling you there’s something more for you; that it’s never too late to achieve your full potential — personally, professionally, spiritually; that your every action can have lasting impact on your life, the lives of the people you love, the lives of everyone on Earth — that’s your greatness calling out to you. Answer the call to greatness and leave your mark on (y)our future with every step you take in the present. What is the Age of Greatness? From personal and global upheaval and transition comes the opportunity to transform our lives and reinvent the world—the opportunity to fulfill our potential for greatness. For some of us, the transition stems from the recent shifts in the economy or other personal crises, and for others, reaching midlife and beyond catalyzes our urgency to focus our lives on what truly matters to us. Our personal Age of Greatness is that point in our lives when we have the perfect combination of experience, wisdom, and the willingness to make every moment matter from here on out, to reinvent ourselves in ways that transform the lives of everyone on Earth. Our global Age of Greatness is the future we can co-create out of the planetary crises we all face—environmental, economic, spiritual. True greatness is forged from change. We can choose what the future holds for all of us. Together, we can usher in an epochal shift—the Age of Greatness. Throughout human history, evolution has been a process that happens to us, but now that process has led us to a point where we can take conscious control of our own evolution as humans and of the evolution of the world in dramatic ways that are nothing short of (r)evolutionary. Humanity has achieved much, particularly in science and technology, but we are now on the brink of destroying everything we’ve built and more. Our lives and our world are out of balance. The answer is not to cast away the science that has brought us this far. The next (r)evolutnary step is holistic. By consciously evolving toward wholeness, by awakening and living the feminine energetic aspect in balance with the masculine, we can unleash the intuitive, creative energies we need to save ourselves and our world from chaos. We can evolve into the next stage of humanity, one in which we focus more on the collective good and the creative potential for all of us to be truly great. This conscious (r)evolution begins within each of us but has the power to affect every human being on the planet for centuries to come. As we save ourselves, we save our planet. Are you ready for the (r)evolution? Do you ever feel like time slips by while you’re looking in the other direction? Suddenly, you’re older, wondering where the time went yet acutely aware that you have so much more you want to do with your life. You’re older, sure, but you’re still you. We all age. But we don’t have to let time slip through our fingers. Conscious Aging means taking hold of every moment, making every day hold more significance than all the decades behind us combined. Consciousness connects us with something far greater than ourselves, something rooted deep in our Souls. 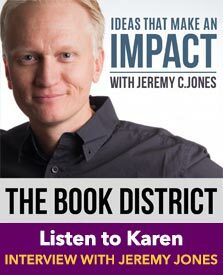 By exploring this connection with our eyes wide open, we develop a vision of our Soul’s purpose and how that purpose fulfilled can bring true meaning to everything we do. By being fully conscious of who you are and your potential to be truly great, you can transcend time, living instead in a place where every action you take really matters, where every moment seems frozen in time as you bask in its full potential for purpose, passion, and positive impact. Conscious Aging means rejecting our society’s expectations of aging, leaving a legacy for your loved ones and the world by showing them how to live each passing year with more meaning, beauty, balance, and impact than ever before. What are the New ’60s? Our lives have come full circle, and we long to rekindle the spirit of the 1960s, when we knew what really mattered and acted in line with our ideals. Many of us are burned out and disillusioned, overwhelmed by our own lives and the increasing crises we face as a planet. But it’s not too late to be great. We can reinvent our lives and reconnect with our Souls. We can bring back the transformational spirit of the ’60s and begin living our lives, every day, with a focus on what really matters to us and to the world. In fact, with the wisdom gained from our experiences as well as futurist strategies to predict and respond ahead of change, we can create a more powerful, lasting new ’60s legacy that transforms our lives and the world for generations to come. Gaia, the Mother Earth, is a complex interaction of organic and inorganic, atmosphere and earth, water and fire, and ultimately the source and sustenance of all life as we know it—plant, animal, human. In other words, Gaia is matter. Matter is Mater. Mater is Mother, the rising conscious feminine in both women and men. The Greek goddess Gaia was the foundation for all the gods. The most binding oaths of all were those sworn in her name. Some believe Gaia was even the source of the Delphic Oracle’s powers. Gaia Consciousness puts us in touch with the past and the future. Gaia is matter, and Gaia is what matters. As the Source of life, she embodies the feminine and the masculine energetic aspects, responding to and nurturing both paths toward knowledge and truth: intuition and science. Throughout human history, we have emphasized the masculine approach to the world, finding knowledge through science, focusing on the external world, to the point where we, and our Earth, have become imbalanced. Our masculine aspect sees the Earth’s resources as rich for the taking and develops the means for extracting and using the Earth for material purposes, yet our feminine aspect knows intuitively that taking too much, without renewing those resources, could destroy the Earth and life as we know it. The same is true in our lives: When we focus only on our masculine ways of knowledge and place the pursuit of the material above everything else, ignoring our intuition, our need for renewal, we find our lives out of balance and risk destroying the happiness that comes from the sacred marriage of masculine and feminine energies within us as individuals and within us collectively as part of the living Earth. Gaia Consciousness is a macrocosm of our own consciousness. When we live our lives consciously, prizing a balance of the feminine and masculine, meaning and wealth, internal and external worlds, knowing and knowledge, we move toward wholeness. When we achieve holistic balance in our own lives in ways that change the world around us, we bring the Earth back into balance. We are a living part of Gaia. Our consciousness is her consciousness. By transforming and balancing our lives, by living and evolving consciously, by reinventing and renewing ourselves, we can reinvent and renew the world. Alone, we can make a difference in the future of our planet. Together, we are the future of our planet. What are Wise Women Crones? The culmination of the Conscious Feminine and the embodiment of Gaia Consciousness is the Crone. She has the wild wisdom of Gaia and the hard-won ability to see the world as it really is and to tell the truth about what she sees. Over the centuries, her power and willingness to speak the truth has led patriarchal society to portray the Crone as powerless, a withered old hag shoved into the invisible shadows of life in our times. Today, the true definition of the Crone has been subsumed by this false image. Generations before have accepted this definition of themselves as they age — powerless, weak, irrelevant … invisible. 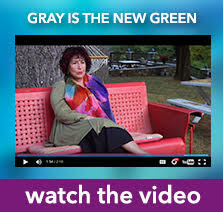 But the Crone archetypal energy is rising again, and we can give rise to the Crone in ourselves. Women and men can age into their own power, wisdom, and truth, creating transformation out of chaos. The Crone is not invisible. Just the opposite — she has presence. She is an innovator, an activist, a teacher, a healer, a visionary, a prophet. She values her feminine ways of knowing, her experience and intuition, and she is in touch with the full expression of her passions. The Crone embodies true greatness. She will change the world and what aging means for generations to come. The meaning of life is personal. I can’t answer that for you, but I can guide you to ask the right questions to find the answers for yourself. For most of us, the meaning of life is to live and give life meaning. How we do that and how we define it is up to us individually, but we all benefit collectively when we seek and act on the answers.